Bacterial cells modify their gene expression profiles throughout different stages of growth and in response to environmental cues. Analyses of gene expression across conditions reveal both conserved and condition-specific gene responses of bacteria to adapt to these dynamic conditions. 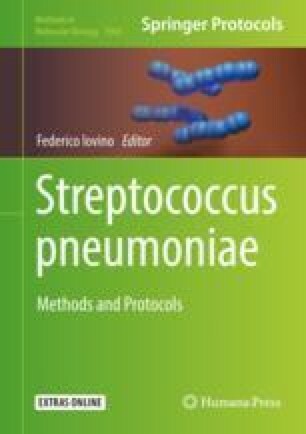 In this chapter, we present a guide to pneumococcal RNA extraction for use in the NanoString nCounter platform. The nCounter is a highly effective method to measure gene expression of bacteria not only in a planktonic mode of growth but also in the presence of host cells where the RNA of interest represents only a small portion of the total material. We would like to thank Dr. Aaron Mitchell and Dr. Wenjie Xu for introducing, training, and guiding us in the use of the NanoString technology. We would like to thank Anagha Kadam for performing the first sets of NanoString experiments in our laboratory. We would like to thank Elnaz Ebrahimi for her assistance with growing biofilms on epithelial cells.